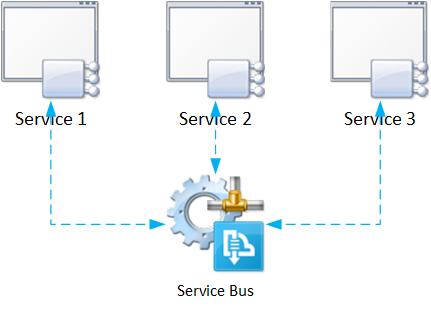 In order to test this process, it would seem that we need a Service Bus, or at the very least, a Service Bus mock in order to link the Microservices. How else will the Microservices communicate? Without a Service Bus, each Microservice is effectively offline, and cannot communicate with any component outside its own context. Let’s examine that concept a little bit further…maybe there is a way that we can establish at least some level of testing without a Service Bus. Establishes a connection to RabbitMQ. Remember, as per the previous tutorial, we need only a single connection. This connection is a TCP pipeline designed to funnel all communications to RabbitMQ from the Microservice, and back. Notice the RabbitMQConsumerCatchAll implementation. Here we’ve decided that in the event of an exception occurring, our Microservice will catch each exception and deal with it accordingly. Alternatively, we could have implemented RabbitMQConsumerCatchOne, which would cause the Microservice to disengage from the RabbitMQ Queue that it is listening to (essentially a Circuit Breaker, which I’ll talk about in a future post). In this instance, the Microservice is listening to a Queue called “Math”, to which messages will be published from external sources. Our core business logic, in this case, multiplying an integer by 2, is implemented here. Once the calculation is complete, the result is dispatched to a Queue called “MathResponse”. Gracefully closes the underlying connection to RabbitMQ. There are several moving parts here. How do we test this? Let’s extract the business logic from the Microservice. Surely testing this separately from the application will result in a degree of confidence in the inner workings of our Microservice. It’s a good place to start. Now our underlying application logic is sufficiently covered from a Unit Testing perspective. Let’s focus on the application once again. ASP.NET application receives and returns the response to the browser. In this example, we have provided a HTTP endpoint to access our SimpleMathMicroservice, and have abstracted SimpleMathMicroservice’ core logic, and applied Unit Testing to achieve sufficient coverage. This is an entry-level requirement in terms of building Microservices. The next step, which I will cover in Part 2, focuses on ensuring reliable message delivery. This entry was posted in AMQP, ASP.NET, C#, Message Queueing, Microservice Architecture, RabbitMQ and tagged .net, amqp, ASP.NET, C#, csharp, distributed design, message, microservice architecture, qos, queuing, rabbitmq, test harness, unit testing on July 17, 2015 by Paul Mooney.